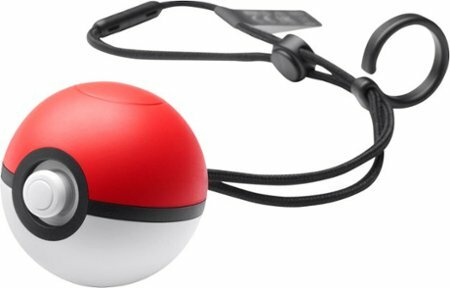 The Poke Ball Plus is an accessory released with Pokemon Let's Go. It functions as a controller to play the game in a more immersive way. It has a button on the top and a joystick that can be clicked. The Poke Ball Plus retails for $49.99 in the USA, or packed into Pokemon Let's Go for $99.99. The joystick feels great to use. It is very clicky and responsive. I have had no problems using it with Pokemon Let's Go: Eevee. The motion controls feel amazing. Once you try using it to catch Pokemon, you won't want to go back to using a Joy-Con controller again! The top button is used to open menus. It is not very prominent, which doesn't subtract from the overall look of the Poke Ball Plus. It is not uncomfortable to hold and use with the joystick. The Pokeball PLUS also includes haptic feedback as well as LEDs and a speaker. When catching a Pokemon, the center ring will glow white the Poke Ball shakes. Once caught, the speaker will emit the cry of the captured 'mon. Pretty neat! The Poke Ball Plus doesn't just work with Pokemon Let's Go, though! You can use it in Pokemon Go, as well. It functions just like the Pokemon Go Plus, but it is a bit bigger. 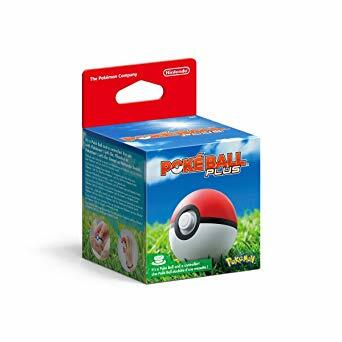 Overall, the Poke Ball Plus is a functioning Poke Ball that catches Pokemon on your Switch and on the go. For 50 dollars, it is slightly more than a single Joy-Con, and though it only plays one Switch game, it is a cool novelty that plays Pokemon Go and Pokemon Let's Go better than any controller we've seen so far.